and the interconnectedness of individuals and civilisations, from local and global perspectives. History shapes our present world. What Will We Learn this Unit? Math: In Math, students will continue to learn place value through addition and subtraction within 20 until completion of Module 2. Students will then move on to Module 4 which covers place value through addition and subtraction within 40. Students will connect to the central idea in math by recognizing the symbols that are used and the meanings they convey. Some symbols they will be focusing on are +, -, <, >, and =. Solve put together/take apart with addend unknown word problems, and relate counting on to the take from ten strategy. Solve add to with change unknown problems, relating varied addition and subtraction strategies. Strategize to solve take from with change unknown problems. Strategize and apply understanding of the equal sign to solve equivalent expressions. Identify 1 ten as a unit by renaming representations of 10. Solve addition and subtraction problems decomposing and composing teen numbers as 1 ten and some ones. Compare the efficiency of counting by ones and counting by tens. Use the place value chart to record and name tens and ones within a two-digit number. Interpret two-digit numbers as either tens and some ones or as all ones. Write and interpret two-digit numbers as addition sentences that combine tens and ones. Identify 10 more, 10 less, 1 more, and 1 less than a two-digit number. Use dimes and pennies as representations of tens and ones. Compare two quantities, and identify the greater or lesser of the two given numerals. Compare quantities and numerals from left to right. ELA: In Reading, students will continue to read leveled books and use grade-level comprehension skills. In Writing, students will also learn how to write a narrative and complete the steps of writing in a Writer’s Workshop. Science/Social Studies: During this UOI, students will explore how events throughout history, affect our present world. Students have watched videos during provocations week that showed them how toys have evolved over 100 years and explored the key concepts related to this evolution. Students will take a deeper look at the Civil Rights Movement and learn about the lives of historical black figures. Students will learn how to read and create timelines, skills that will be used to complete their summative assessment. Students will learn who they are! Students will learn how to identify the many things about themselves. They will also learn how to describe themselves. Students will also learn how to formulate Question is Arabic. Students will continue to work on their reading and writing skills. Students will put all reading tools and skills that they've learned into action by working on Quranic reading Fluency. Students will learn about the life of the Prophet ( peace be upon Him) and his companions. Students will make careful observations and analyze Van Gogh choices in starry night painting. Students will produce a pastel artwork in starry night style. 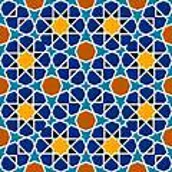 Islamic arts past vs present and collaborative vs individual. 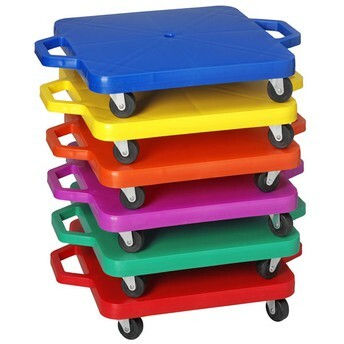 During this unit students will engage in various activities using our newest piece of PE equipment, the scooter board! Scooter boards are great for core strengthening, upper body strengthening, coordination, and endurance. Not to mention, they are super fun to play on! We will be practicing different types of relays and games to provide some new challenges while keeping the entire class active.